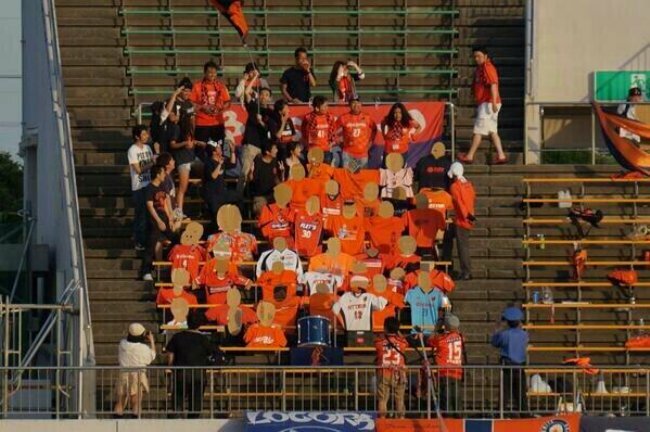 Japanese minnows Omiya Ardija have been struggling with dwindling attendances of late and so, in a bid to boost their numbers, the resourceful J-League Division 1 side have begun filling their terraces with DIY fans knocked up out of cardboard. Look pretty good! Check out the guy with the drum!